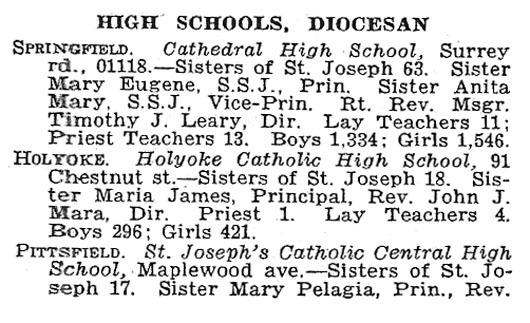 These are Catholic high schools in the state of Massachusettes which were once in operation, but were closed. Some are from the very early part of the 20th Century or even late 19th Century. 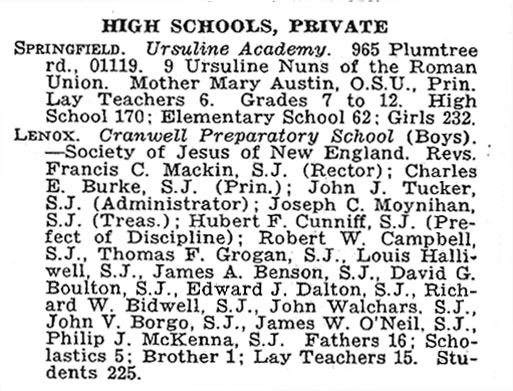 Click on the name of the school for details. A look at Roman Catholic High School. 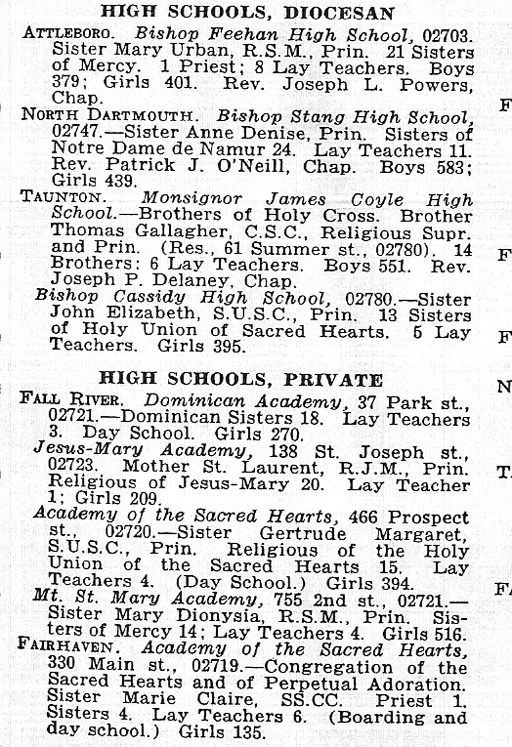 A graduate has sent mephotos and other memorabilia of this well-known Boston school which will be posted shortly.